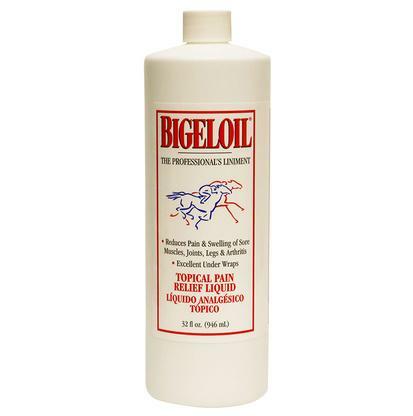 Treat bacterial and fungal skin conditions with an easy to use spray bottle application. 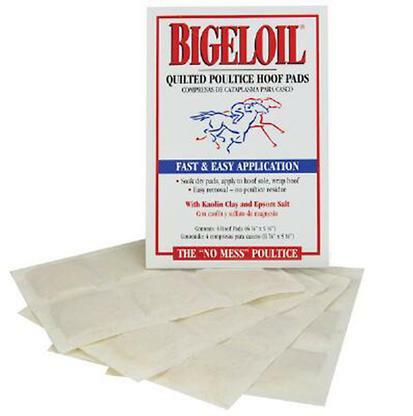 The active ingredients are 0.21% chlorhexidine digluconate and 0.1% triclosan. 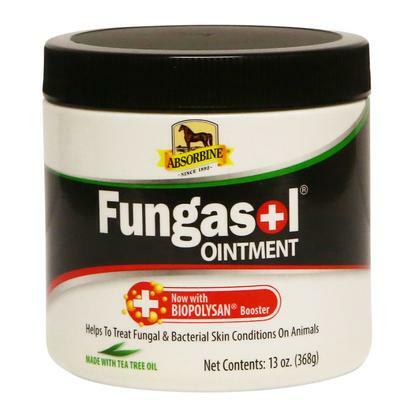 This topical spray helps treat bacterial and fungal skin conditions such as rain rot, ringworm, wound bacteria, girth itch, dew poisoning, pastern dermatitis, and pythiosis. 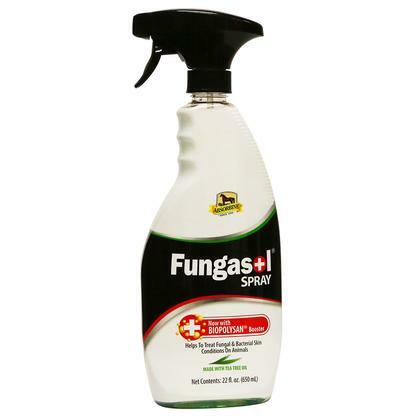 Fungasol spray is easy to apply and uses the power of tea tree oil to sooth. This ointment contains 0.26% Chloroxylenol and 0.2% Triclosan. These active ingredients combat bacterial and fungal skin conditions. 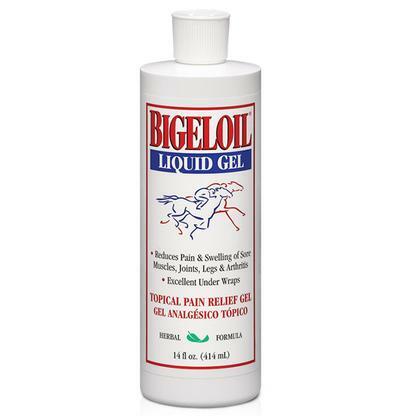 Tea tree oil soothes while this product treats wound bacteria, girth itch, pythiosis, ring worm, dry flaky skin, paster dermatitis (scratches/greasy heel), and even rain rot. 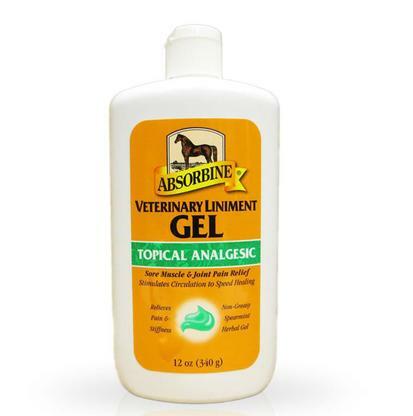 The thick ointment formulation is easy to apply and sticks to the area where it is applied. 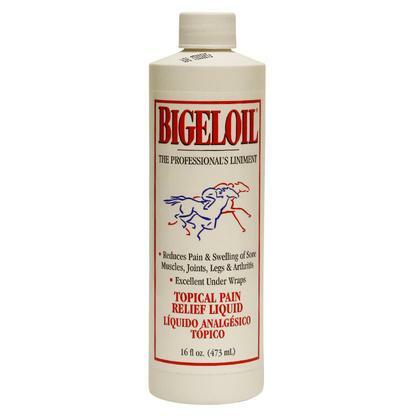 Just apply a thin layer on and around the affected area as directed and let the product do the rest. 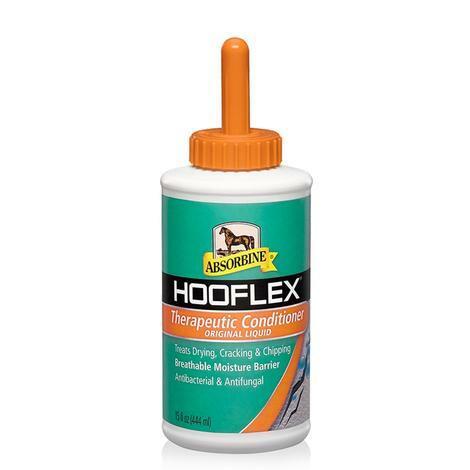 Hooflex Therapeutic Conditioner helps restore and support horse hooves. Simply apply the liquid using the brush applicator. 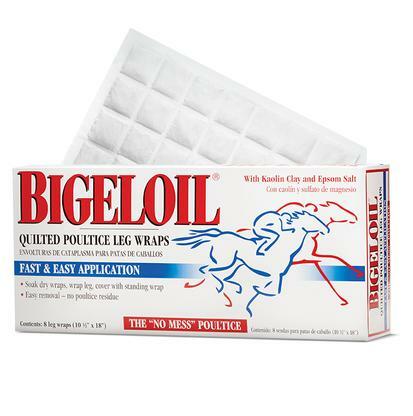 Creates a breathable moisture barrier. 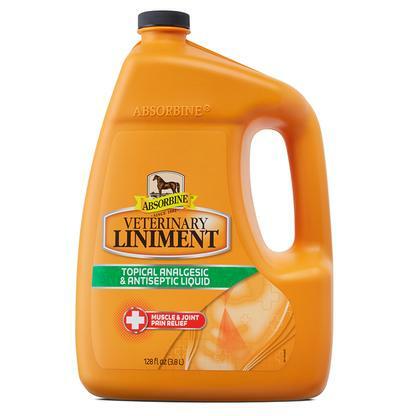 Comes in a 15 oz. bottle. 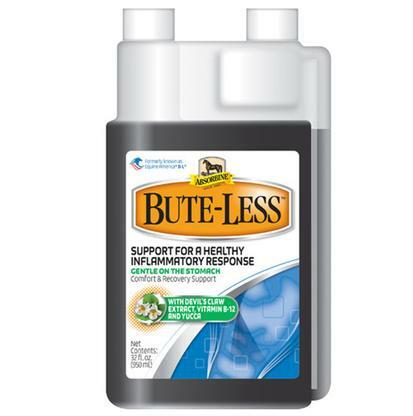 Absorbine Bute-Less can offer your horse support for a healthy inflammatory response, and eases discomfort associated with exercise and aging. 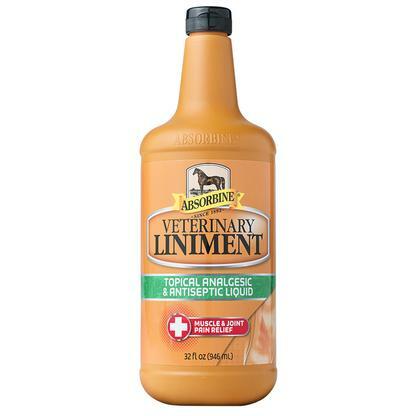 It is very gentle on the stomach and is easily administered as a daily supplement. Active ingredients include natural Devil’s Claw Extract and Yucca Schidigera Extract, as well as Vitamin B-12. 10 lbs. 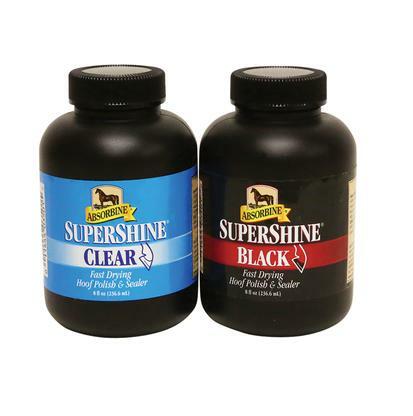 Show Sheen Showring Shine 32 oz. 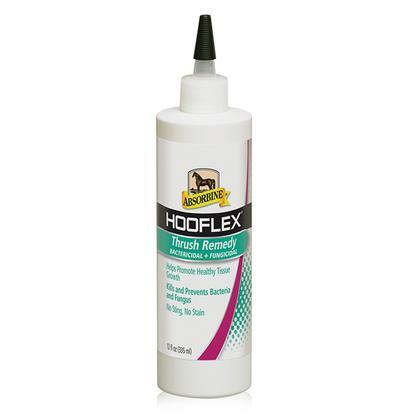 Nourish the coat while protecting from debris and static. 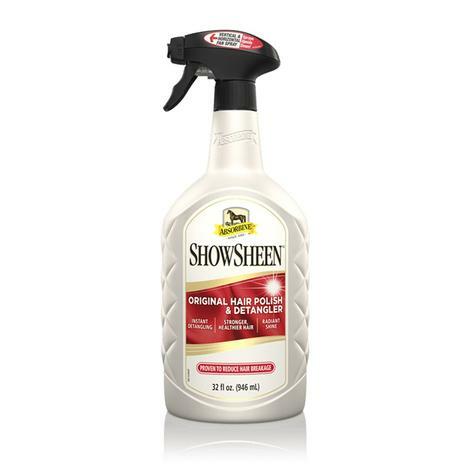 ShowSheen Hair Polish and Detangler is designed to speed the grooming process while nourishing your horses coat. 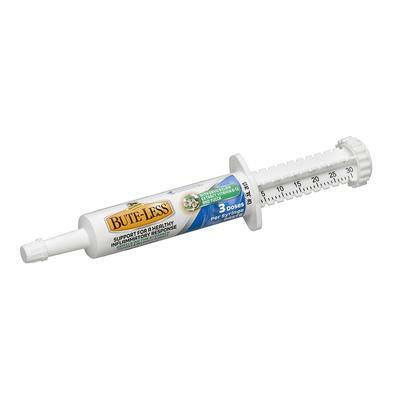 Formaldehyde free formula effectively treats thrush and white line disease. 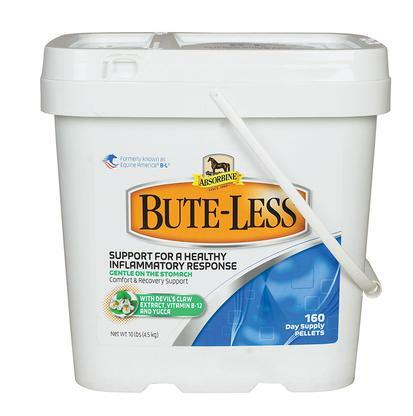 This clear formula kills and prevents the fungi and bacteria associated with thrush and white line disease. The applicator reaches deep into the frog where bacteria and fungi breed. 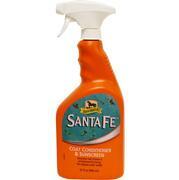 This is a 20 ounce bottle of shampoo that is designed to combat fungal and bacterial skin conditions. 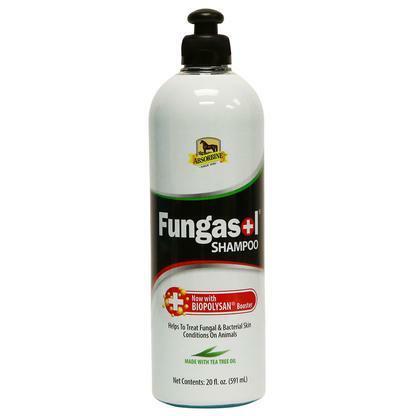 Fungasol shampoo creates a rich lather that delivers 0.1% triclosan, soothing tea tree oil, and aloe barbadensis leaf juice. 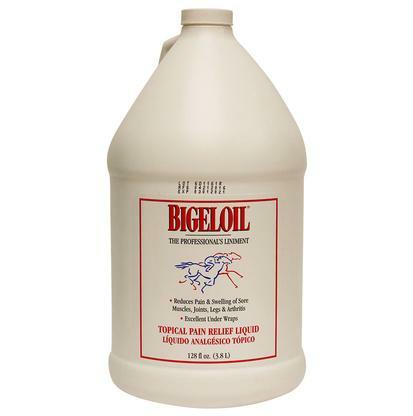 This helps treat rain rot, dry flaky skin, girth itch, pastern dermatitis, pythiosis, ringworm, dew poisoning, and wound bacteria.